According to the South Korean tech publication ETNews, LG is planning to launch its next flagship in its V line-up at IFA 2017 in Berlin. If true, this will mark the first time ever LG launching its V series device at IFA (last year’s V20 was even announced through a Facebook stream in a small event). As per the report, the launch event of the LG V30 will likely take place a day ahead of the IFA 2017 officially kicks off. The IFA 2017 starts on September 1st and will run until Sep. 6 so that would mean that the launch event for the LG V30 will likely take place on August 31st. Initially, Samsung was also planning to launch its upcoming Galaxy Note 8 at IFA but the company later dropped the plan to avoid the possible conflict with Apple. As far as specifications are concerned, the LG V30 is rumored to sport a near-bezeless design, secondary ticker display, dual-cameras, Snapdragon 835 SoC, 3,200 mAh non-removable battery, a new ESS Quad DAC with a 3.5mm jack, IP68 water and dust protection and is expected to arrive in multiple storage options (32GB, 64GB, 128GB). 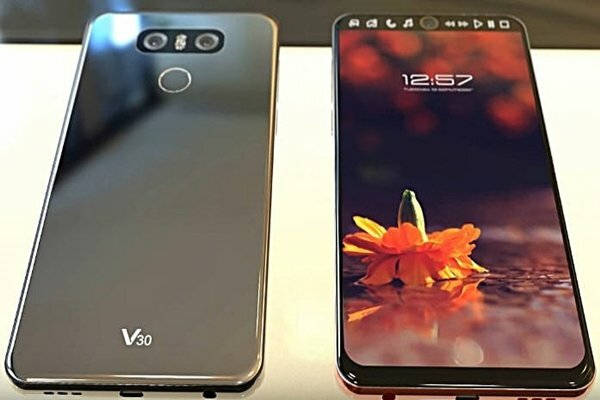 The report also claims the LG V30 will feature an OLED panel which, if true, will make it only the second LG device after the G Flex to feature an OLED display, but the first to feature an LG OLED panel in a while and thus a way to showcase the company’s latest advancements in this space. The LG V30 is rumored to cost around 800,000 KRW ($699.98) for the 64GB version. As for availability, the report states, the device will be available for pre-order in South Korea through multiple carriers soon after the official launch, with the device expected to go on sale by the end of September. Keep in mind, none of the above-mentioned details are confirmed yet so do take this information with a pinch of salt until we hear from LG itself.